First there was Skylanders, which stole the hearts of both toy lovers and video game players all across the world. Then, every kid with an imagination perked up at the announcement of Disney Universe. Now, after witnessing the sale of millions of Near Field Communication figures, Pokemon Rumble U is joining the fray. Nintendo will be shipping both the Pokemon Rumble U game and a handful of Pokemon figures to local Pokemon Center stores in Japan. Like its predecessors, this RPG will store character data on the individual figures that can be transported into the game world. Pokemon trainers will have access to six standard figurines and one special edition toy, with each product selling for 200 Yen ($2). It’s not out yet, but Pokemon Rumble U is expected to make its Japanese Wii U debut April 24 for 1800 Yen. There has been no word on a North American release. Are you a fan of this new style of game? 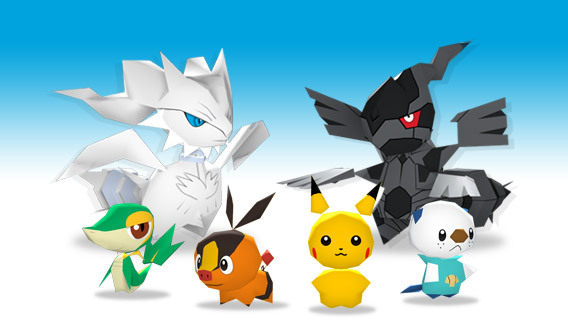 Would you buy Pokemon figures if they were in the U.S.? Let us know what you think by leaving a comment below!